Clockwise from top left: Stu McClung, Acting Orion Program Executive at NASA HQ, Cathy Richardson, Deputy Program Manager, Earth Science Projects Division at GSFC, Ralph Basilio, OCO-3 Project Manager at JPL, Brian Muirhead, Mars Sample Return Lander Study Lead at JPL, and Cynthia Simmons, Chief, Instrument Systems and Technology Division at GSFC, discussed the habits that help them manage projects effectively at NASA. What qualities make NASA project managers effective? In a recent Virtual PM Challenge, agency project managers discussed the characteristics they find critical to mission success. At its most basic, the secret to mission success at NASA is simple: it requires teamwork guided by effective project managers. To be effective, agency project managers evince a set of qualities that enable them to lead missions successfully, even in the face of schedule or budget adversity. These practices were the subject of the Virtual Project Management (PM) Challenge 7 Habits of Highly Effective (NASA) Project Managers, which can now be viewed online. The habits were identified based on research gathered from the Project Management Institute as well as input from Virtual PM Challenge viewers, who described and ranked the qualities they had observed among effective project managers. 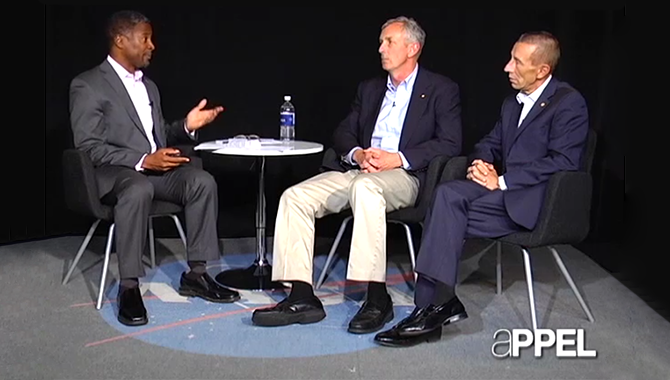 Ramien Pierre, Virtual PM Challenge moderator, then spoke with accomplished project managers across NASA to find out how they applied these practices to drive mission success. 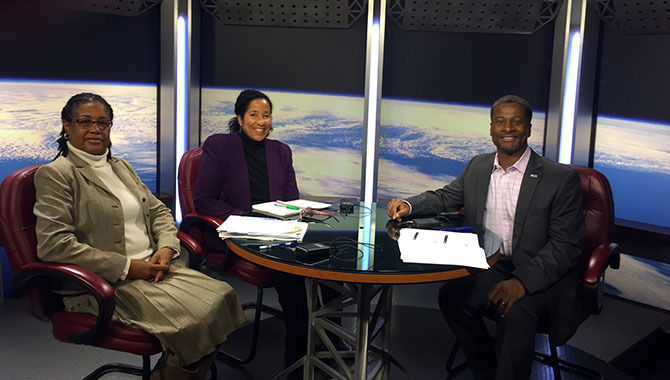 Ramien Pierre moderating the Virtual PM Challenge 7 Habits of Highly Effective (NASA) Project Managers. Stu McClung, Acting Orion Program Executive at NASA Headquarters (HQ), discussed the project manager’s responsibility to provide information in an unambiguous way. His experience with the need for clear communication began while working on the Space Shuttle Program, where he said he made a mistake that taught him to be a better communicator. He posed a question—a “what if”—about a theoretical event to his Russian counterparts by adding it to a pre-existing agenda for a meeting the next day. Another responsibility of the project manager is to keep the team working toward the end goal, whether it is to stay on budget or meet a tough timeline—or both. Cathy Richardson, Deputy Program Manager, Earth Science Projects Division at Goddard Space Flight Center (GSFC), was instrument manager for the Thermal Infrared Sensor (TIRS). The project was projected to take 4.5 years to complete—but her team was given only 3.5 years to do so. A key to meeting their tight timeline was focus. It was up to Richardson to keep the team doing what was needed—and nothing else—to stay on schedule. When team members strayed from the main goal, she said, frequently it was because they wanted to do their very best to support the project, not because they weren’t doing their job. “[O]ften there was a redirection because of either a technical goal that they wanted to achieve—or there was a whole lot of ‘We can do a little bit better.’ We didn’t want to do better. We wanted to do good enough on this project,” she said, due to the abbreviated schedule. Project managers often have to adapt as situations change—sometimes radically—on a project. This was the case for Ralph Basilio, project manager for the Orbiting Carbon Observatory 3 (OCO-3) at the Jet Propulsion Laboratory (JPL). On an earlier project, OCO-2, the spacecraft’s launch vehicle changed mid-project, forcing the team to accommodate a new rocket while minimizing the impact to the schedule. On OCO-3, the project was canceled, only to be reinstated two years later. In both cases, to keep the team moving forward and focused on the tasks ahead, Basilio used his innate optimism as well as his experience to create a sense of stability and encourage sustained commitment. NASA project managers and their teams are passionate about their work. This is generally a positive trait, but occasionally a project manager must help the team move forward when conflicting convictions threaten the project’s progress. Cynthia Simmons, Chief, Instrument Systems and Technology Division at GSFC, faced this situation on Astro-H, a collaborative effort between NASA and the Japan Aerospace Exploration Agency (JAXA). She joined the project midway, when it was already over budget and off schedule, and relationships between groups on the team were frayed. At one point, the project team faced a crucial turning point: how to solve a technical problem that would determine whether or not the project could deliver the required science. Team members were split on how to proceed, which made it hard to get either faction onboard with a solution. Simmons resolved the situation by turning an emotion-based situation into a risk-based discussion by asking both groups to provide an outline of their proposed solution along with a list of associated risks. 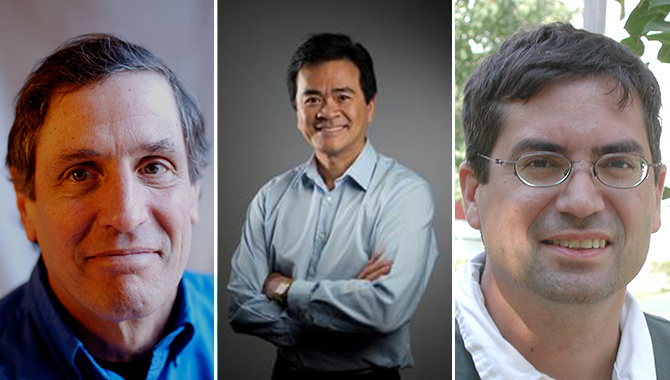 “[T]hen I asked a series of questions: What would happen if this goes wrong on your approach? How would we recover from that?” By focusing on the potential risks and proposed mitigations, she helped the team focus not on whose idea was better, but on facts that could be assessed unemotionally. To further calm the situation, she didn’t drag out the process. “I didn’t say, ‘I’m going to go think about it.’ Before the meeting, I told them: Come with your plan and your risk and what you would do if those risks happen, and at the end of that meeting, I will make the decision,” she said. Being decisive includes two critical elements. The first is being able to pick the best alternative from a number of options in a timely manner. The second is monitoring the impact of your decision, and if you’re not getting the outcomes you want, being willing to reassess the decision. In making the choice between opposing paths forward on Astro-H, Simmons had to be decisive. “I was taught being decisive means you make [the decision] and you don’t look back,” she said. However, over the course of her career, she discovered there’s actually more to being a decisive leader than just the initial decision. Brian Muirhead, Mars Sample Return Lander Study Lead at JPL, discussed his experiences as the project manager for the Asteroid Redirect Robotic Mission (ARRM). The mission, which was ultimately canceled for budgetary reasons, involved multiple complex components: a rendezvous with a near-Earth asteroid, capturing that asteroid and transporting it to cis-lunar space, and finally sending astronauts to explore the asteroid in its new location. To accomplish their goals, the team had to advance the state of the art for several different technologies, including solar electric propulsion (SEP). They also had a complex programmatic interface. 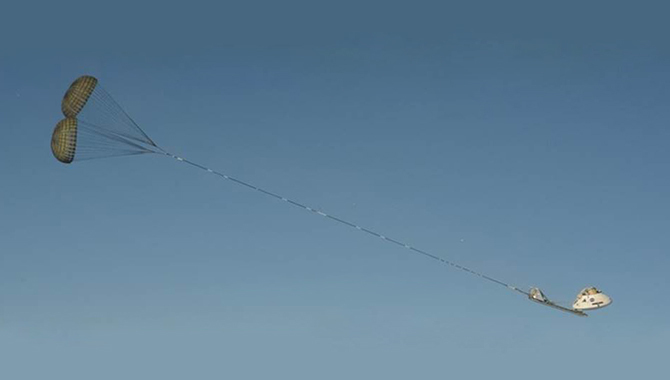 The project worked for three NASA directorates—Human Explorations and Operations (HEO), the Space Technology Mission Directorate (STMD), and the Science Mission Directorate (SMD)—and was based at multiple NASA centers: Glenn Research Center (GRC) for the electric propulsion, GSFC and Langley Research Center (LaRC) for the robotics, and Johnson Space Center (JSC) for the human spaceflight phase. They were working with industry for a key component as well. 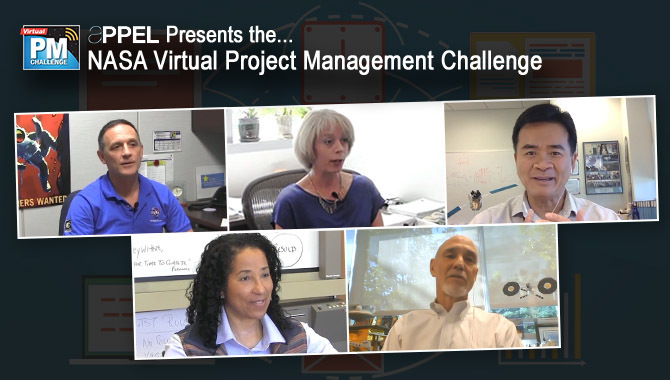 Throughout the Virtual PM Challenge, the project managers discussed how they applied one or more of the characteristics that allowed them to lead their projects successfully. They also talked about how they learned these practices, and offered insight into how viewers could develop the qualities themselves. To learn more, watch the full Virtual PM Challenge, 7 Habits of Highly Effective (NASA) Project Managers, now available online.